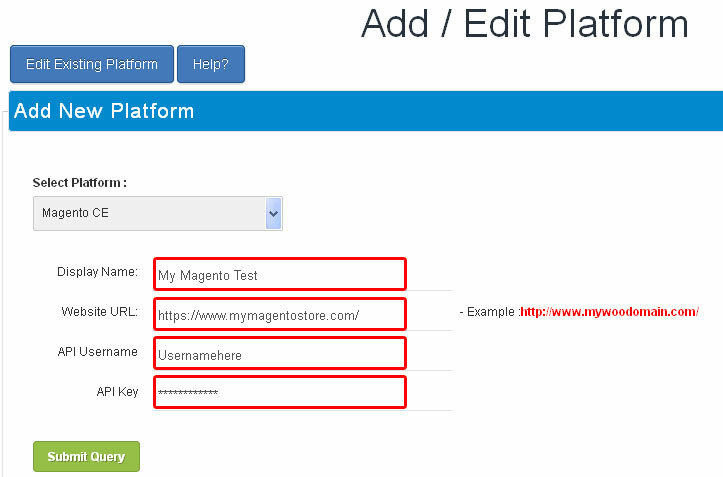 The first step is to create a Magento SOAP/XML-RPC user with admin access. 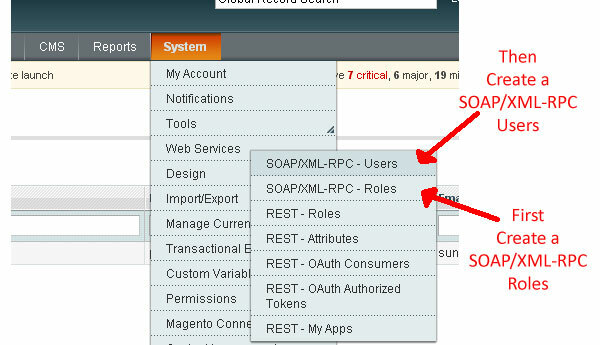 In the System menu, select Web Service > SOAP/XML-RPC – Roles. If an “All access” role does not already exist, create one by selecting Add New Role. In the Role Resources tab, select All in the Resource Access dropdown. In the System menu, select Web Service > SOAP/XML-RPC – Users. Fill in the required information and remember the user name and API key that you enter. Give this API user the “All access” role that you just created earlier. Select Magento from the dropdown. Display Name: Give display name.